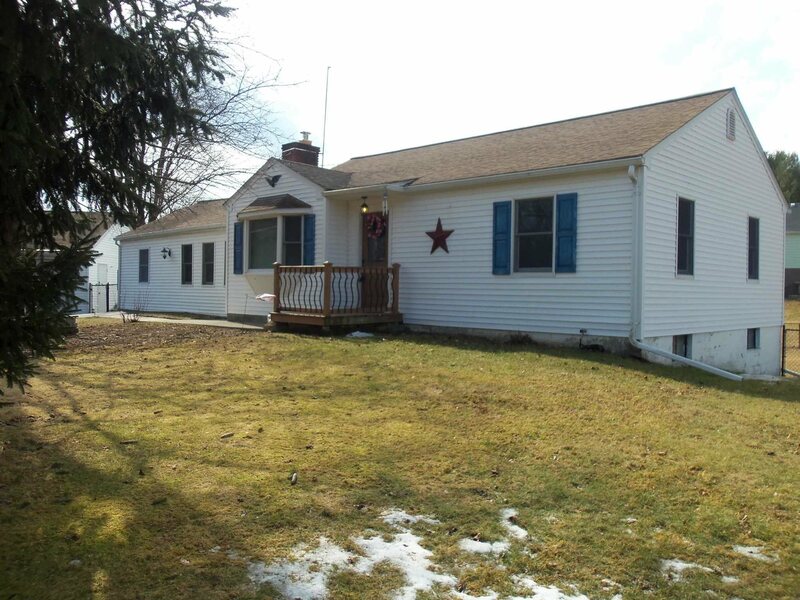 Comfortable and Nicely Kept Ranch Home in Pleasant Valley. Easy to care for country lot with fenced rear yard to let your pets and loved ones roam freely. Freshly painted and updated throughout. Stainless appliances and quartz counters in the eat in kitchen. Wood floors and wood burning fireplace/stove insert in main living Rm. Master BR with extra large walk in closet, good sized 2nd & 3rd BR&apos;s and closets. Family Room on the main level, large deck outside glass doors from the Dining RM. 2 car detached garage. Convenient location near shopping and travel in all directions. Arlington School District. Don&apos;t miss your chance to call this your new home!